Todd McCormick May Spend the Rest of His Life in Prison for Researching this Book. 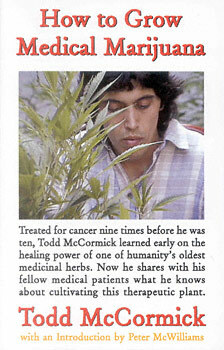 On July 29, 1997, Todd McCormick was arrested by the United States government for growing his medicine in his own home. He faces a 10-year mandatory-minimum sentence (possibly life) and a $4 million fine. The Drug War makes no exceptions for the sick.